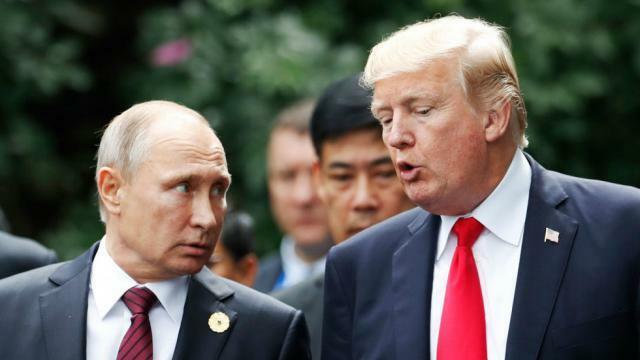 ﻿A senior Kremlin official tells Bloomberg that Vladimir Putin is preparing to offer significant concessions to President Trump at their July 16 summit in Helsinki, Finland in the hopes of beginning to repair strained relations between Russia and the United States. Chief among them, according to the official, is a discussion on Iran's role in Syria - an issue that Moscow is simultaneously coordinating with Tehran. Putin has agreed in principle to U.S. and Israeli demands that Iranian-backed forces in southern Syria be kept away from Israel’s border, replaced with troops loyal to the government in Damascus, two Kremlin advisers said. In advance of the summit, U.S. ambassador to Russia, Jon Huntsman, briefed President Trump during a one-on-one conference call Thursday - saying that Trump will go into the meeting with "eyes wide open." 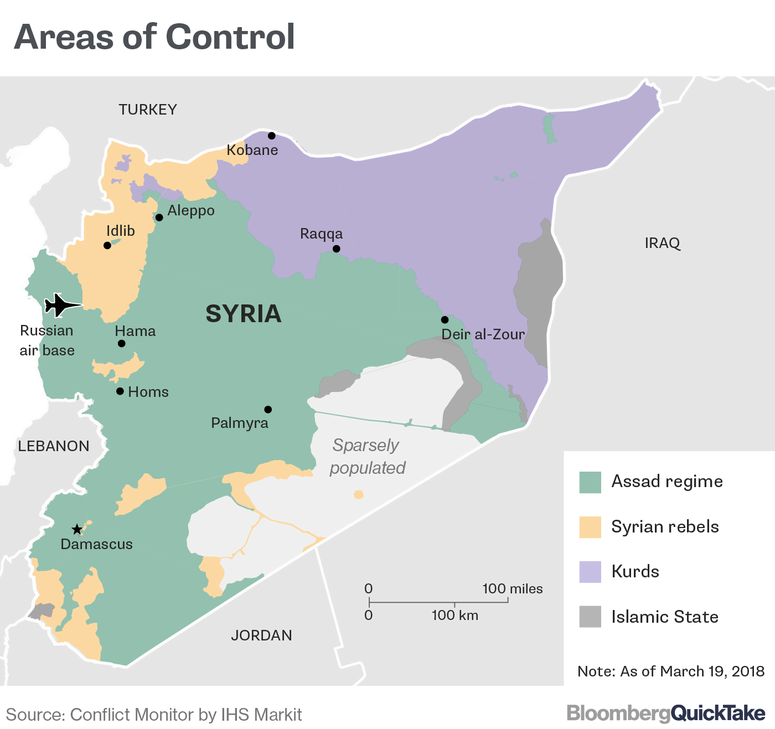 Trump, meanwhile, has broken with Obama's policy of demanding that Syrian leader Bashar al-Assad be removed from power, a position reportedly formed before Russia and Iran turned the tide of the Syrian civil war in Assad's favor against U.S. backed rebels. This sentiment was backed by U.S. National Security Adviser John Bolton - who on Sunday told CBS News that Assad is no longer "the strategic issue" in Syria. Instead, Iran is now the focus. Russia views the upcoming Trump-Putin summit as an opportunity to mend fences with the United States. Relations have soured dramatically since the days Bill Clinton was hanging out at Putin's Moscow estate - within hours of collecting $500,000 for a speech to a Kremlin investment bank - in the same month Russia assumed control over 20% of U.S. uranium under Hillary Clinton's State Department. But that was 2010. Since then, Russia annexed Crimea in 2014 and allegedly hacked the 2016 U.S. election - which the Kremlin has been heavily sanctioned for. Still, major questions remain over Putin's ability to actually enforce any agreement governing Iran's actions in Syria, even if he offers to stabilize the border with Israel by sending troops into the area. This has in turn caused some in Washington and among Western allies in Europe that Trump may prematurely tout the Helsinki meeting without actually achieving real concessions. Iran has already soured to Russia after it agreed to to roll back cuts to oil producers intended to boost flagging petroleum prices. Russia is also trying to salvage the Iranian nuclear deal after Trump abandoned it, while mitigating sanctions the U.S. has imposed on Tehran. Foreign ministers from Russia, France, China, Germany and the UK will discuss the issue with Iranian officials in Vienna on Friday. Meanwhile, Russian Foreign Minister Sergei Lavrov said on Wednesday that he would speak with U.S. Secretary of State Mike Pompeo following the Helsinki summit in order to implement whatever agreements are reached. That said - he cautioned that "it's absolutely not realistic" to expect Iran to pull out of Syria alltogether. “As in any other part of the world, you have to start by sitting down at the negotiating table, lay out your concerns and talk about how to resolve them on a mutually acceptable basis,” Lavrov told reporters in Moscow. Israeli Prime Minister Benjamin Netanyahu will meet with Putin in Moscow next week before the summit with Trump - the second time in as many months. Tehran is undoubtedly unhappy with this development. “Russia has not only stabbed Iran in the back when it comes to Syria, but also voluntarily announced its readiness with Saudi Arabia to push Iran’s quota out of OPEC,” said Ali Khorram - a former Iranian ambassador to the UN, wrote in the Arman daily newspaper. Putin’s strategy is to try and find a middle ground between the conflicting interests of major players. In particular, he may give Israel a green light to bomb any Iranian convoy that tries to deliver advanced weaponry to Hezbollah while also allowing Iran to maintain shipments of conventional arms to its Lebanese proxy forces, according to Kortunov, the Kremlin adviser.